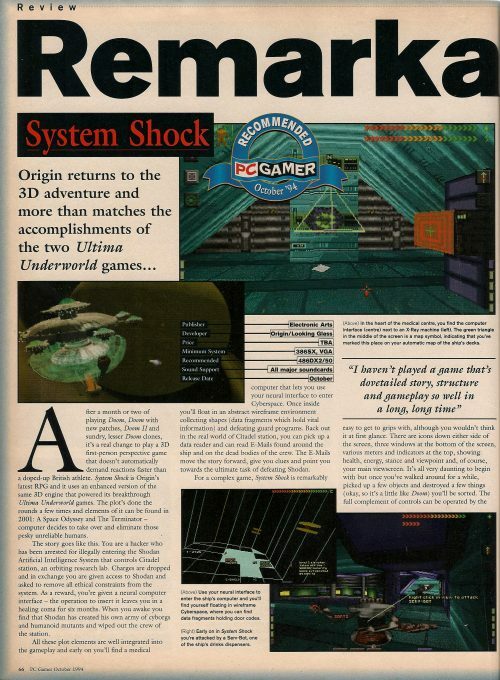 I’ve been sent some more scans by Ian Williams including this System Shock review from the October 1994 PC Gamer. It gets a suitably high 90% with the only complaint being the music. I really like the System Shock soundtrack these days but didn’t think much of it at the time myself. It’s either an acquired taste or more likely didn’t sound right on whatever sound hardware I had back then. The General MIDI standard is compatible across devices in theory but some of these old games really needed a Sound Canvas. 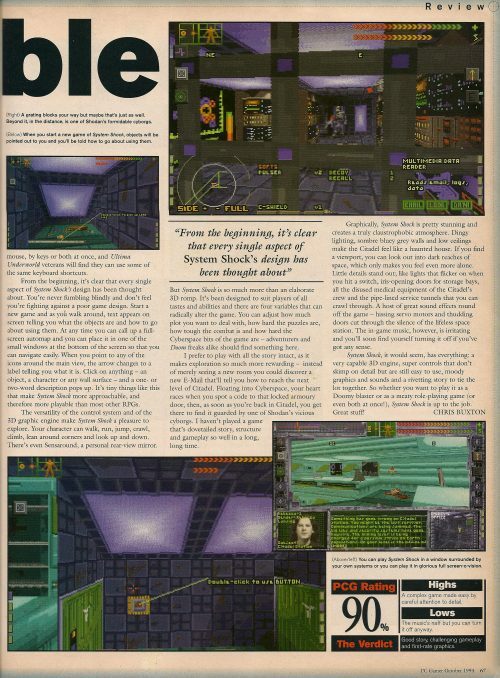 This entry was posted in Magazine Scans, System Shock by Pix. Bookmark the permalink.